The DC Torque with it's incredible flat black finish, machined accents, and tough satin clear coat really stands out from the crowd. Designed for newer trucks and SUVs that require higher offsets, additional brake caliper clearance, and the ability to use the factory Tire Pressure Monitoring Sensors (TPMS). 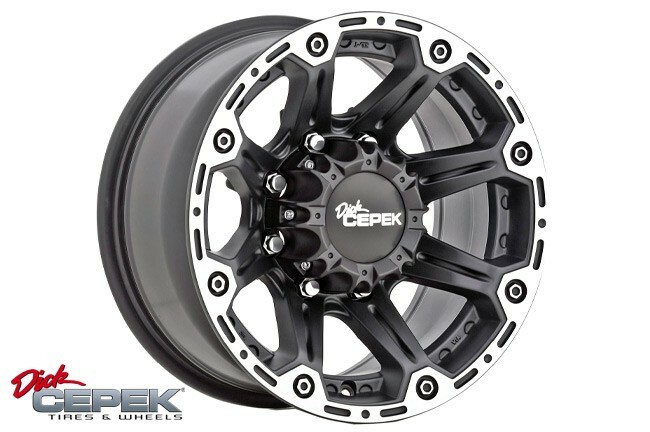 This wheel is the perfect choice for the truck owner that wants to combine style with usability on or off-road. Flat Black with Tough Satin Clear Coat. Machined Outer Lip for Rugged Look. High Offset for Late Model Trucks & SUV's.